Hyundai Venue, which is Korean automaker's first ever sub-4m SUV is all set to make its global debut today at New York Auto Show. The SUV will also be making its India debut at an event today itself. The car maker will be broadcasting the entire event straight from the venue from the auto show. Moreover, 2020 Hyundai Sonata will also be unveiled at the motor show. The event will kick-off around 8PM IST which will be live streamed on official YouTube channel and Facebook profile. 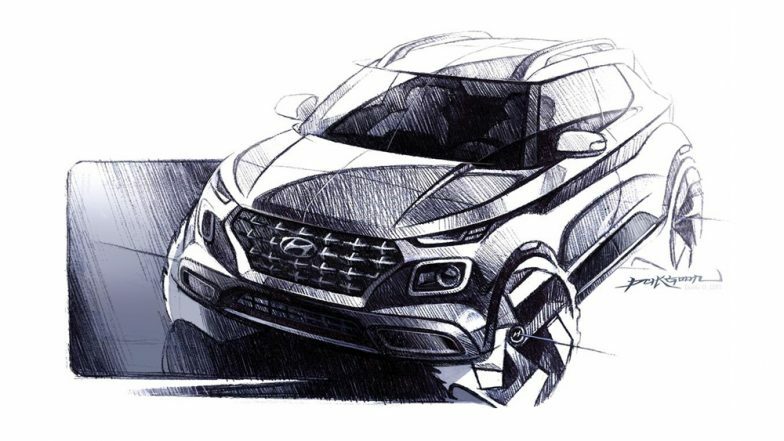 2019 Hyundai Venue Sub-compact SUV To Be Unveiled Today; India Launch, Expected Price, Bookings, Features & Specifications. Feature-wise, the car will sport an 8-inch touchscreen infotainment system compatible with Apple CarPlay and Android Auto, auto climate control, fast charging, semi-digital instrument cluster, sunroof and much more. Likely to be priced from Rs 8 lakh (ex-showroom), the Hyundai Venue will take on Maruti Vitara Brezza, Mahindra XUV300, Tata Nexon and Ford EcoSport.